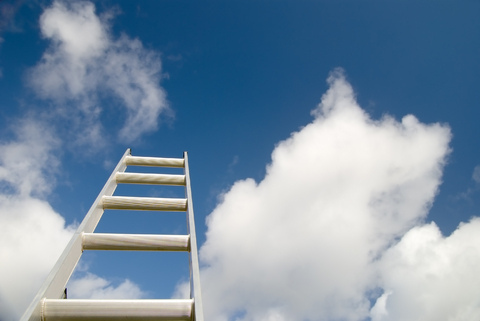 Thinking about adding more cloud skills to your repertoire? Stop thinking. The time to do it is now. For IT professionals, cloud computing skills are becoming an essential resume item. Companies are actively – and increasingly – looking for employees with the knowledge and hands-on experience to build and maintain cloud –based applications. And despite some fearful chatter, the rise of the cloud does not signal the death of the traditional data center, or the data center staff. The IT staff will not go away; organizations will just be able to get much more productivity out of staff than they previously could. The jobs will still be there – just with slightly different descriptions. Overall, the picture is quite rosy for an IT pro with cloud skills. The proof is in the news almost daily. A recent Washington Post article: “Analysts Expect Growth in Cloud Jobs,” cited Bureau of Labor & Industry data predicting 671,300 new jobs in computer systems design and related services by 2020. If you’re looking to advance your career, you can’t get much more of a directive. So you’re convinced: You need cloud skills. How do you get them? Training is available from companies like mine (CBT Nuggets) and from the various cloud vendors. And the beauty of some services (like AWS) is that you can “play” with the technology (for free) to get a hands-on experience. Just trying out cloud services isn’t enough to impress an employer. A number of vendors now offer certification in cloud skills. AWS, Rackspace, and VMware are a few of the “big guns” with certification tracks. Obviously, it makes the most sense to pursue a certification in the technology you see yourself using the most. But even if you end up using a different technology, the process of training for and passing the certification exams will enhance your understanding of what you can do with cloud computing. Certification, of course, costs money. It can be time consuming. And ultimately, isn’t it just a piece of paper? The answer is yes… and no. While certification can’t substitute for real-world skills, it is a quick way to show employers – or potential employers – that your skills have been validated. That could be all you need to get a leg up on other candidates. Achieving a certification also shows that you’re willing to put in the time and effort to learn new technology and keep your skills up to date. In the fast-paced IT world, that’s a crucial characteristic. Cloud computing is new, but that doesn’t mean it’s a fleeting trend. All signs point to it being a permanent part of the IT landscape – as permanent as anything is in IT, at least. Companies are looking for people who can harness the power of the cloud: You should be one of them. Video: Is Hotmail Getting a New Name Along With Its Redesign?